Dogs like to play fetch with their owners. 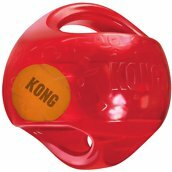 Having a toy that will provide some lasting fun whether alone or with his owner, the KONG Jumbler Ball Dog Toy Large is just the answer. The KONG Jumbler is a two-in-one ball toy for twice the interactive fun. There is a tennis ball inside and loud squeak that should entice play. The handles make pickup and shaking easy. The Jumbler stands up to tough play, making it ideal for games of fetch. Available in two shapes and sizes, the KONG Jumbler will ensure an exciting, active play session for you and your dog and keep him in tip top shape. This toy can be used both indoors and outdoors to keep your furry friend occupied for hours. Whether at home or away, your dog has a toy he will be playing with. As with all interactive toys, this requires the owner and dog to be present to get the most out of it. 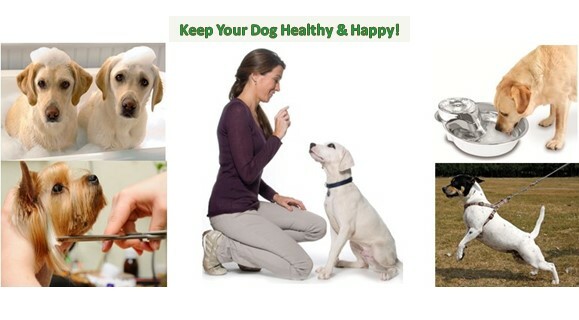 Not all toys will provide lasting enjoyment as each toy will effect your dog in different ways. You must determine if this toy is right for your pet. All toys basically are a hit or a miss. Since all dogs are chewers, this toy is no different. Your dog will chew on this toy when left alone. You may need to consider using this toy only during your interactive sessions. Bright assorted colors dogs love – You choose the size, color ships at random! The model shown on this site is the Large/Extra-Large toy. Note: The price for this toy is subject to change without notice. Reviews: Read the Customer Reviews! Below are the most frequently asked questions about this product. How big around is the toy? Answer: About 8-inches in diameter. What is the toy made of? Hard plastic or softer? Answer: It is softer. It’s more of a rubber-type material. Does this toy float? Answer: It’s hollow/air filled so my guess is it probably would. How annoying is the squeaker? Answer: It squeaks a lot when they are chewing on it. No sound when they are playing tug-o-war. If the dog doesn’t have a very large mouth, they probably won’t be able to make it squeak. Can the ball come out? Answer: Not until the dog chews it up. Almost impossible. Not unless you break it out and that would take some doing. My Rottweilers and Bullmastiff have been trying to chew it out for months with no success. It is a great toy! Where is the toy made? Answer: Designed and tested in the USA, but made in China. To shop for product, click on the image below. You will be taken to the Amazon ordering page where you can choose from the M/L or L/XL toy. The interior tennis ball and loud Squeak to entice play. The handles make pickup and shaking easy. The jumbler ball stands up to tough play, making it ideal for games of fetch. The toy makes for an active play session for both you and your dog. Colors vary at the time of purchase.